XYZ: audio-loop: 3min. 11sec. = 191sec. ZXY: audio-loop: 2min. 29sec. = 149sec. 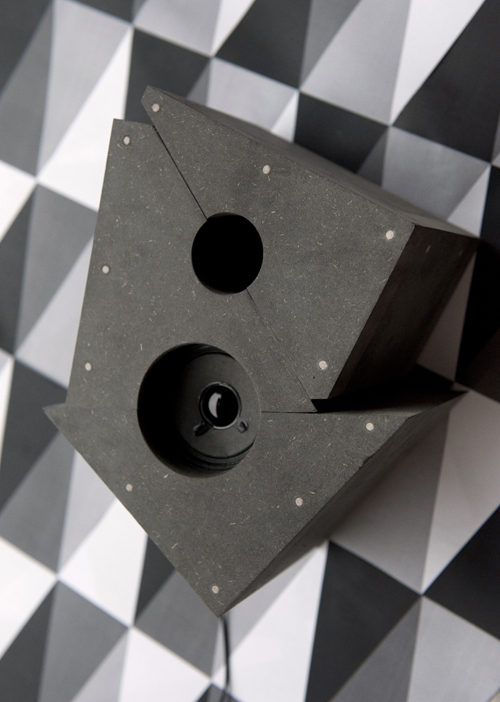 The black-box resonators are created from three identical speaker-boxes; X, Y & Z. Each box was cut following a unique cutting template using angels taken from technical-drawing tools. 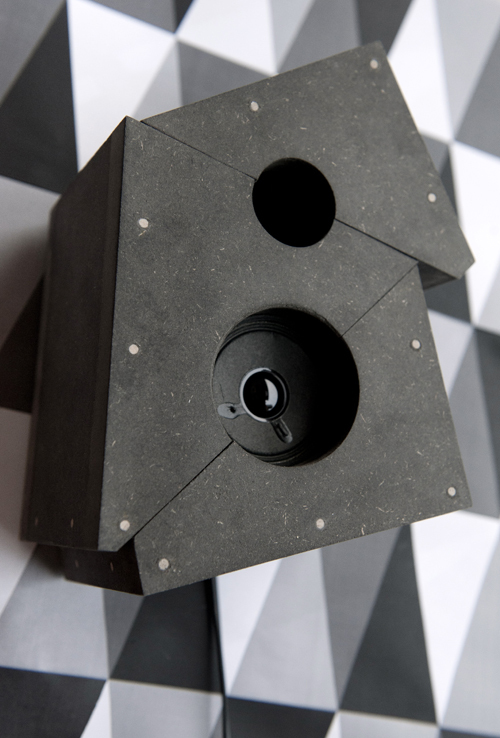 One element from each box is used to construct the individual Black-box resonators. 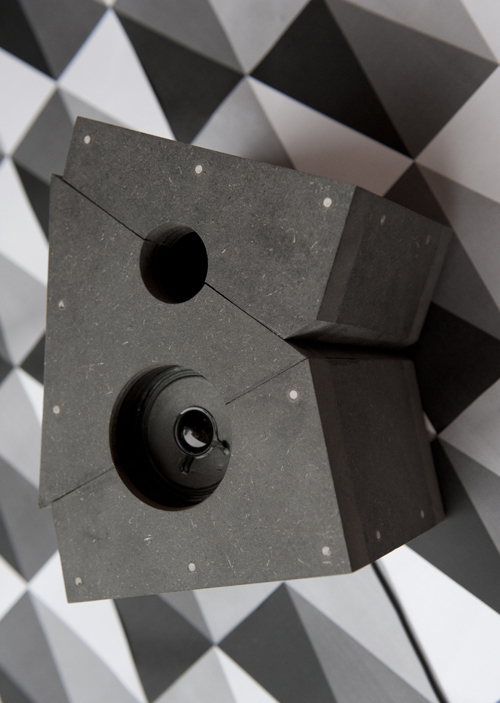 Using different angels of the identical speaker-boxes generates a sculptural form visually akin to early cubist still life with guitar paintings by Picasso, Braque & Gris. The audio loops are created in a similar cut & re-construct manner, mutating & manipulating audio samples from open-share files. The compositions are created using prime numbers as defining factors, influencing individual elements & the time of each audio loop.